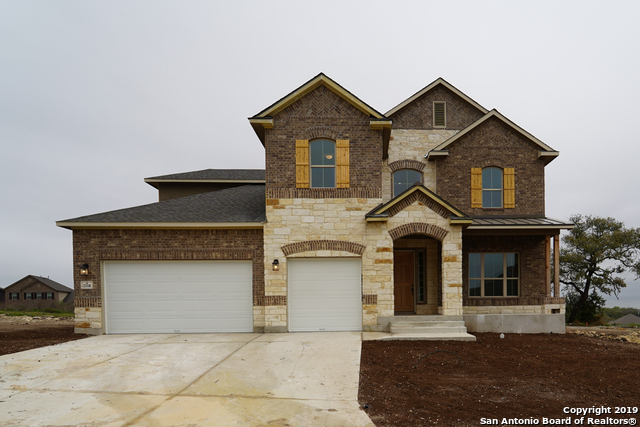 All FRONTERRA AT WESTPOINTE - homes currently listed for sale in San Antonio as of 04/18/2019 are shown below. You can change the search criteria at any time by pressing the 'Change Search' button below. "Beautiful single story Highland Homes Model plan 262 with brick elevation, hardwood floors throughout. Gourmet kitchen with large island, quartz counter tops, stainless steel appliances. Master suite at back of house for privacy with large bath and walk in closet that connects to laundry. Two secondary bedrooms share secluded playroom. Fourth bedroom and bath to back right corner of home prefect for guest. 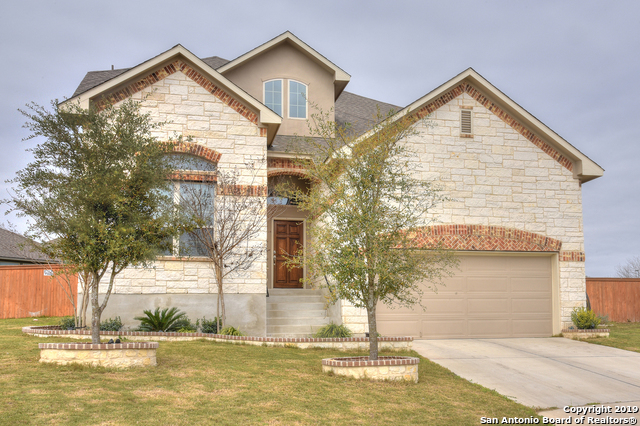 Texas size patio with large backyard backs up to greenbelt prefect lot for a pool." "Absolutely stunning home with more upgrades than I can count. Seriously...this home needs NOTHING! Very open plan that lends itself to family living with room for everyone. Lots of light. Open and airy! Views for miles. Backs up to a greenbelt area. Great lot with room for a pool or playscape. Media room. Gameroom. Office. This home has room for everything. Kitchen fit for the family chef. Acres of granite and stunning decorator selections. Why build when you can have this home." "This elegant 3680sf Highlands house will make you feel at home right away. Enjoy living in this beauty that offers an open floor plan, high ceilings, NO CARPET, a large kitchen with Stainless steel appliances, granite counter tops and a beautiful island, a generous sunroom, a cozy study, the comfortable loft, a large living room with a lots of natural lights and a fireplace and a covered patio overlooking the greenbelt." "The Essex is a popular 2-story floorplan that offers many options for you to customize your home. 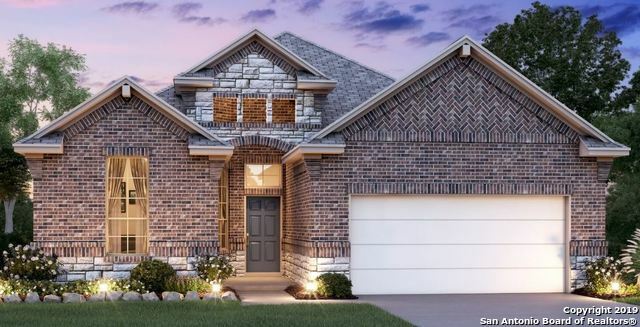 This 4 bedroom, 3.5 bathroom, and 3-car garage home features a first floor master suite with a spa-like master bathroom and an incredible master closet. You will love the openness in the family room, kitchen, and breakfast area; it is perfect for entertaining guests! Downstairs you can also enjoy the separate formal dining for those special occasions. Head upstairs where you can find a large game ro"
"Gorgeous Home on Corner Lot in a Prestige Neighborhood. This home has EVERYTHING you can think of. Entry and Extended Entry with Ceramic Tile and Wood-Like Tile flooring EVERYWHERE. 10' to 12' Ceilings and Crown Molding throughout the home. 4 sides brick..WOW! 4 Bedroom and 3 Full baths. Perfect for the Family. Library with French Doors. Central Vac System for you convenience. Wall of Windows in Living room. It's JUST a Gorgeous home. Come One Come All. You will fall in LOVE." 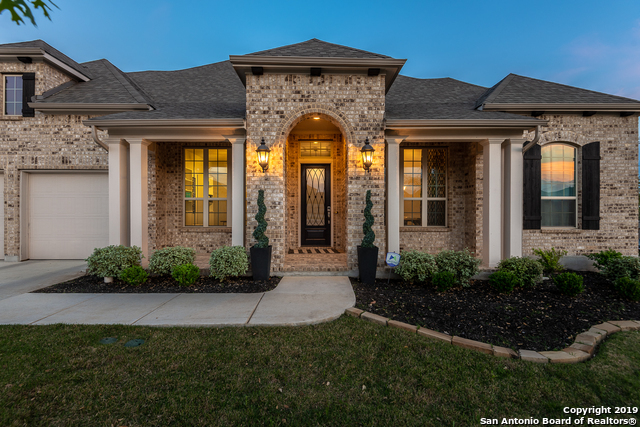 "Situated on a large cul-de-sac lot, this Beautiful Home offers a spacious open floor plan, dual masters, is w/in NISD schools, & conveniently located near Loop 1604, HWY 151 & Lackland AFB. Home features a lrg kitchen area w/Island, granite countertops, lots of cabinet space, tile floors & large pantry. You'll enjoy the spacious game room & private media room. Entertaining outside will be a delight with this extra large yard. Some included amenities are: Refrigerator, washer, dryer, & water soft"
"Beautiful spacious single story home with all the bells and whistles. Granite through out Tile, over sized covered patio, gourmet kitchen, tray ceilings, bay windows, you name it this house has it. Best of all it is close to all major interstates and your kidos will be attending Brennan High. Bring your picky buyers out to view this wonderful home." "BEAUTIFUL 1 STORY HOME LOCATED IN A HIGHLY SOUGHT AFTER COMMUNITY W/ EXEMPLARY SCHOOLS. THIS HOME OFFERS AN EXTENDED ENTRY W/ COFFERED 12 FT. CEILINGS. GORGEOUS KITCHEN W/ ISLAND & BUMP OUT WINDOW IN BREAKFAST NOOK. OPEN FLOOR PLAN W/ LARGE LIVING ROOM W/ AN ABUNDANCE OF WINDOWS. MASTER BEDROOM IS HUGE W/ WALK IN CLOSET. MASTER BATH HAS LARGE WALK IN CLOSET, DUAL VANITIES, GARDEN TUB & A SEPARATE GLASS ENCLOSED SHOWER. GUEST SUITE W/ FULL BATH & WALK IN CLOSET. 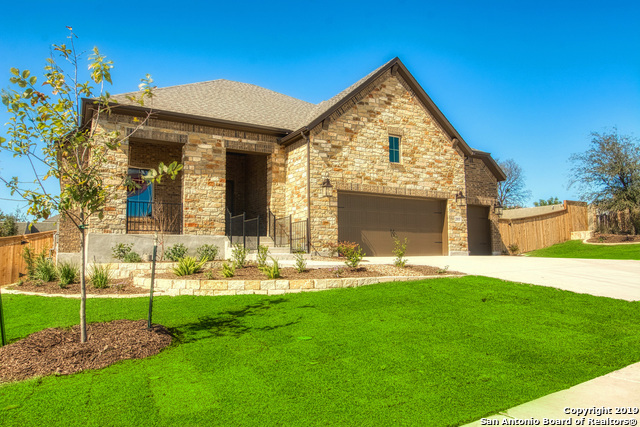 MUD ROOM & COVERED PATIO W/ LARGE "
"Gorgeous 1-1/2 story in Fronterra at Westpointe! 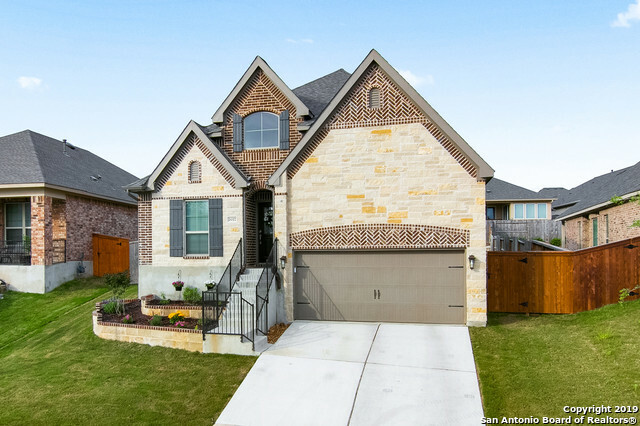 Better than new with owner upgrades in addition to builder upgrades. Open Floor Plan, Great kitchen- Quartz countertops, SS appliances, gas stove, Samsung 2-dr refrigerator included. Perfect layout with 3-bedrooms & study downstairs. Second floor has a game rm./loft, full bath & bedroom. Garage has epoxy flooring & overhead storage. Stunning backyard with large stamped concrete patio, wired for tv, & stone fire pit. **OPEN HOUSE Sunday 4/14, 12-3"
"This home shows like a model. It offers 4 bedroom 3.5 baths & a game room. Open floor plan with cathedral ceilings & windows everywhere. Solid hurricane standard construction, brick exterior located just min. from Lackland & other NW employers. Master suite downstairs w/game room and additional bedrooms upstairs. Popular grey tones throughout, ceramic floors in wood like finish, covered patio, gas cooking, stainless appliances this one checks ALL the boxes." "Elegance abounds! This beauty features tile floors throughout - perfect for those with allergies or pets! Crisp white baseboards & crown molding against the warm golden tones of the walls and flooring create an unforgettable combination. The 10' ceilings & large windows make the space feel inviting and open, & the glossy dark brown cabinets complement the speckled granite and Tuscan backsplash. Other special features include the Super Shower in the Owner's Bath, large private office w/French doo"